When it comes to selecting one or a combination of preparation resources for an examination like TOEFL, there is no one-size-fits-all kind of a solution. You may choose to study on your own, or take external help. You may choose to study and prepare online or you may be happier studying offline. You may choose to tap into the fairly enormous study material available online for free or you may choose to pay for a course that appears tailor-made just for you…! Instead of getting overwhelmed by the various options at hand, it is recommended to go with what you think will work for you best. Approach your preparation material in such a way that every lesson turns out to be solution to a problem. Select those tools of learning that you are most comfortable with. However, there are some common practices that may help you get closer to your dream TOEFL score. Develop a Good Reading Habit: A good reading habit will form the bedrock for the other sections as well. Books, Newspapers, magazines, journals, online articles and blogs can provide good reading resources for a student. While reading, be alert and try to soak in as much information as you can, in one go. Make mental notes about key points while skimming over details/facts. The purpose is to understand, not memorize the text. Familiarize yourself with reading on a computer screen. Writing: You can start by practicing writing as much as you can. Choose any topic and let your thoughts flow. While reading books or articles, try to observe the writing styles and imbibe it in your own writing style. You can also learn from journalists who specify the What, When, Where, Why, Who and How before advancing on any news story. TOEFL writing section also requires you to state opinions, so read about various issues. Support your writing with well-researched arguments and facts, not vague statements. Learn how essays are written. Listening: If you nurture a phobia for the language, start small, start easy. Watch interesting TV shows, movies and news bulletins. Consciously try to grasp new words and speaking styles. Once comfortable, you may move to classroom lectures, discussions and audio-books. YouTube also offers a wide range of debates, tutorials and TED talks for your ready reference. These will also keep you updated of latest happenings, enriching you with content that will come in handy in your speaking and writing sections. Having said that, avoid using audios/videos with subtitles. Listening: Any candidate planning to appear for TOEFL examination must practice spoken English from the day he/she decides to sit for the examination. Recording your voice on your mobile recorder and getting comfortable with your own voice is a good place to start. Observe how you speak and list down places you think you need to work on. Read newspapers, books and articles out loud and focus on getting the pronunciation right. If time permits, pay attention to and work on the pauses, intonation, pitch, volume, voice modulation while avoiding prolonged fillers like ‘um’ or ‘err’. Practice speaking to your computer in order to get accustomed to it. Flash cards and a handy pocket dictionary, helps. Make learning fun: Subscribe to services (Apps, newsletters, emails, FB/Instagram pages) that give interesting trivia about the exam, and timely helpful resources like Word Of The Day, word games etc. While these tips and tricks for preparation works well for some candidates, there are others who want more- guidance from a more official source, an expert, a personal tutor or even a course. A lot of candidates feel the need to receive constructive feedback and face-to-face interaction. No matter what your reasons are for deciding to take outside help for TOEFL, there are many great options available to you, both offline and online. ETS (Educational Testing service) conducts the TOEFL and they share a lot of resources with the test takers. Resources include test software, study material on the topics and sample questions/topics for the test. However, this is more indicative in nature. If you are not comfortable even after going through the ETS provided material, then you may enroll yourself for a course of TOEFL. 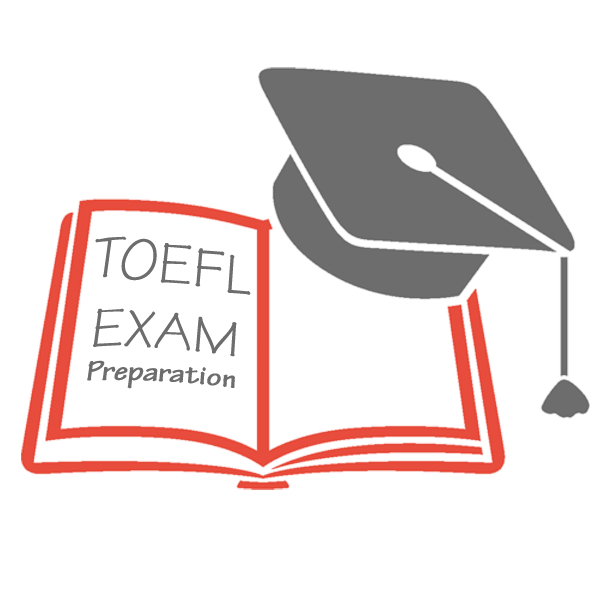 No matter what kind of TOEFL preparation tools/resources you end up choosing, remember that it should help you prepare for the test in the way that is most comfortable and convenient for you. While contemplating the various options available to you, reflect on the advantages, see if you notice any disadvantages, and do not hesitate to ask a lot of questions. Ultimately, finding the right tools and resources means taking the first step towards an excellent TOEFL score! great article and thats what i was looking for tofel examinations. Why Medicine in the U.K.?